Notice: This is an old thread. The last post was 2207 days ago. If your post is not directly related to this discussion please consider making a new thread. 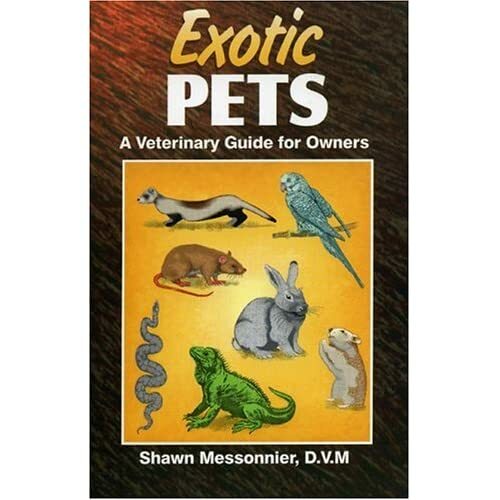 Dr. Shawn Messionier gives pet owners a basic understanding of the care required for some of the more popular exotic pet species including snakes, turtles, iguanas, ferrets, birds, gerbils, and rabbits. A quick owner's reference to the most common problems encountered when caring for such pets, this book contains scientifically correct information on diseases and discusses proper habitat and dietary needs essential for success and enjoyment of these exotic animals. Last edited by Motoko; 2nd April 2013 at 11:34 PM. Reason: ADD INFO, IMAGE, DESCRIPTION. TEMPLATE. Last edited by Motoko; 1st February 2014 at 12:27 PM. Reason: UPDATE.